Reaching customers in authentic ways transcends basic customer service. Because of this, earning customer loyalty is sometimes easier said than done. In today’s world, people don’t trust advertising; they trust what their friends tell them. And they have hundreds of ways to connect with those friends. Living in the age of the customer means gaining their trust and creating positive experiences through two-way interactions that are both meaningful and personal. 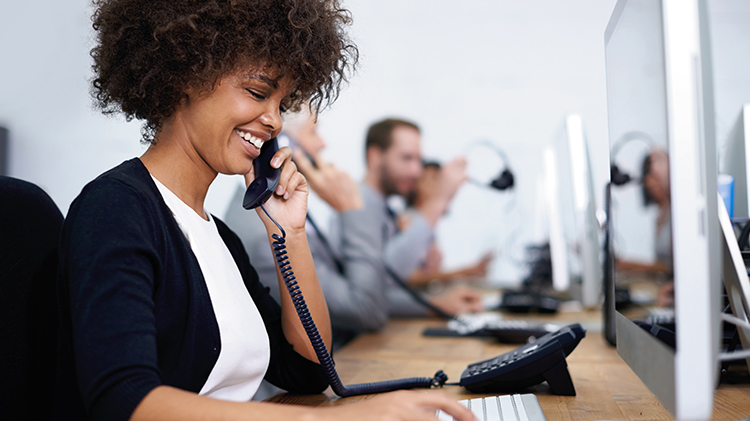 Effective contact center programs move from simply providing customer service to providing true customer care. They reinforce a brand’s values to create advocates, who in turn share their experiences with friends. Most companies understand long-term customer retention begins with a relationship. Technology advancements over the past 10 years have streamlined contact centers’ processes, which has minimized relationship building. As the recession hit, businesses focused on using technology to increase efficiency, and somewhere along the way companies lost the personality that brings brands to life. To truly provide customer care, employees need to be empowered to think and act individually in the best interest of that customer and that interaction. Employees who must adhere to strict guidelines and phone scripts sound robotic. However, allowing employees complete freedom in their words and actions is a scary proposition for management. Having customer service associates use brand language—the key terms reflecting the values and vernacular of the company—goes a long way in improving brand reputation in the marketplace. But, you may think, “That sounds more like scripting and less like empowerment.” The key is striking a balance between quality control, keywords and efficiency to create more authentic, and less scripted, interactions. 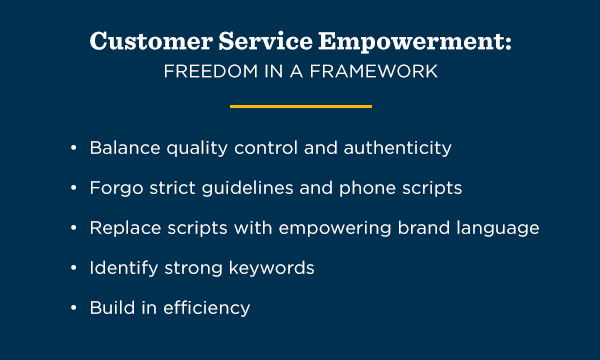 Giving customer care associates the freedom to act within a framework, empowers them to create memorable experiences for customers. The first step is to provide a framework from which employees base their interactions. You probably already have this in your CRM or case management systems to guide conversations and manage issues. It also should include ways for the associate to extend his or her one-on-one conversation, such as tools that present contact center employees with opportunities to follow up with customers after the call ends in order to extend the positive experience. Lengthening the experience in personable ways conveys several things to the customer. Hallmark Business Connections has built a powerful customer experience solution to help brands build better relationships with its inbound customers known as Customer Care. Accessible through a web-based interface, Customer Care allows customer service representatives to personalize Hallmark cards with their own words or choose a prewritten message. 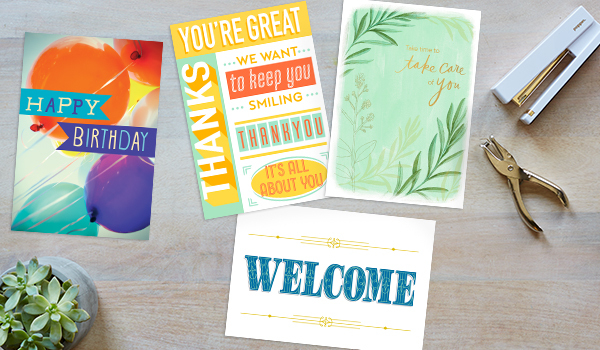 The cards are “signed” with the associate’s name using Hallmark proprietary digital handwriting and are automatically printed, addressed, stamped and mailed. To learn more, visit our Customer Care page or fill out the form below. Striking a happy medium between complete independence and strict policies permits employees to be individuals while still following company guidelines. It clearly allows associates to not only “service” customers, but to care for them. 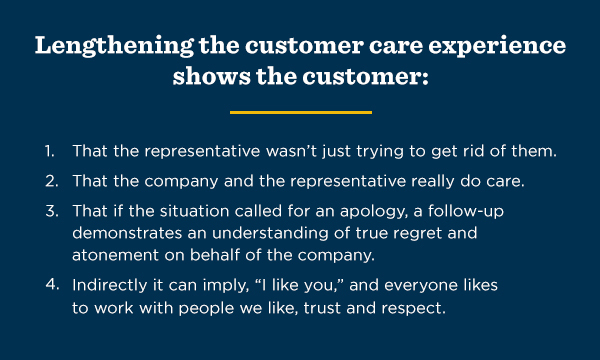 In doing so, your customer care associates give customers unique, memorable ways to feel good about doing business with you. They will feel compelled to share all those great feelings with others, creating the trusted word-of-mouth advocacy every business desires.